Like a building block toy, the Modular Bookcase allows the user to create shelves with limitless shapes and dimensions. The system is composed of three joints and four panels in plastic with modular dimensions of the same depth. Assembly involves simply pressing the elements to lock them together, without the help of tools or the use of screws. The special solidity of the structure allows the system to be used as a self-supporting dividing barrier or even as a shelf in the middle of a room. Ideal for the home and the office, the bookcase system is fitted with a cubic container, a component which is offered in various colours. The cube, a useful and colourful bookshelf accessory, can be employed as a stand-alone container for storage of toys, clothes and other objects. 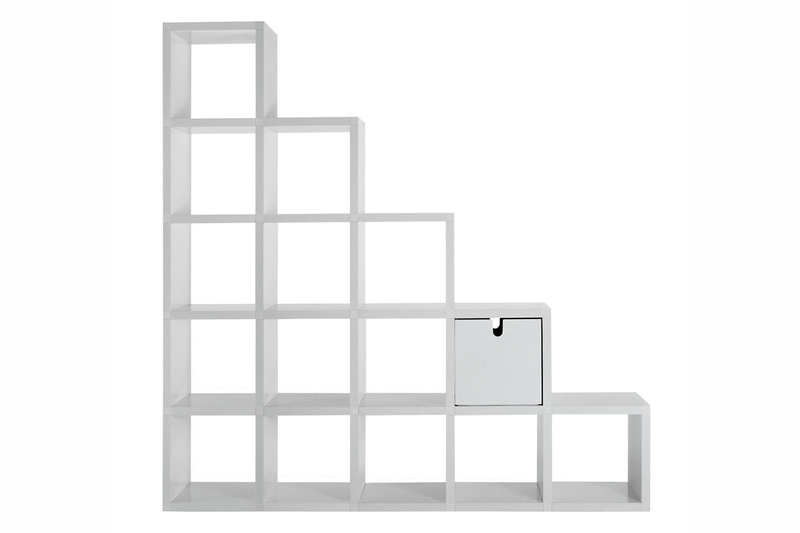 Such simple features allow the formation of a practical bookshelf suited to any home or office space imaginable, a simple solution for the storage.